The Bharatiya Janata Party on Monday accused Congress leader Shashi Tharoor of politicising the victory of newly-crowned Miss World, Manushi Chhillar. 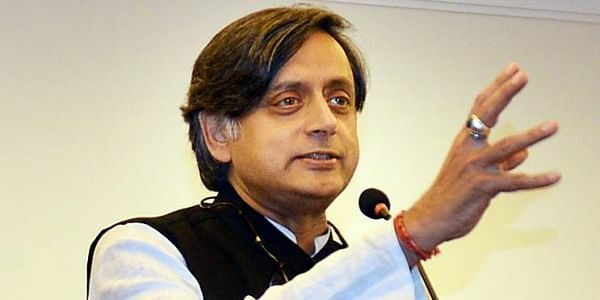 BENGALURU: The Bharatiya Janata Party (BJP) on Monday accused Congress leader Shashi Tharoor of politicising the victory of newly-crowned Miss World, Manushi Chhillar. Stating that those in public life should “be very careful,” Prakash said the controversy should end now that Tharoor has apologised for his comment. “I’m happy that he has apologised and deleted the tweet. I think the controversy should end here,” he said. Following Manushi Chhillar’s victory at the Miss World 2017 pageant on Saturday, Tharoor had tweeted, "What a mistake to demonetise our currency! BJP should have realised that Indian cash dominates the globe: look, even our Chhillar has become Miss World!" However, the tweet backfired on Tharoor, when Twitteratis slammed him for comparing Manushi's surname to 'loose change'. In another tweet, Tharoor issued an apology, saying, “Guess the pun IS the lowest form of humour, & the bilingual pun lower still! Apologies to the many who seem to have been righteously offended by a light-hearted tweet today. Certainly no offence was meant to a bright young girl whose answer i've separately praised. Please: Chill!."